Super fast 40mm f1.2 E Mount lens from Voigtlander. The NOKTON 40mm F1.2 Aspherical is a high-speed manual focus lens optimized for the imaging sensors of Sony mirrorless cameras. 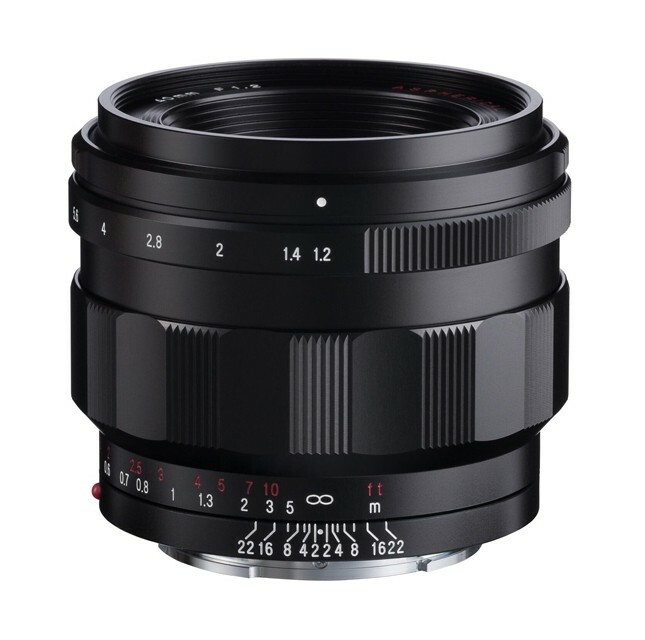 While retaining a compact size, this lens realizes a world first* as a full frame 40mm lens with a large F1.2 aperture. The optical formula features two elements each with two aspherical surfaces, so you can enjoy reliable optical performance and gentle very out-of-focus bokeh at maximum aperture. When used on a camera with an APS-C sensor, the 40mm focal length is equivalent to 60mm, enabling the lens to be used as a standard lens on both full frame and APS-C cameras. The aperture ring has click stops in 1/3 steps. The lens also features a click stop switching mechanism that enables the click stops to be turned off when shooting video. The NOKTON designation is only given to high-speed lenses in the Voigtländer lineup with a maximum aperture of F1.5 or faster. When the first NOKTON was released in the 1950s, it was positioned as a lens that enabled images to be captured even in low light. However, with constantly improving imaging sensor sensitivity, the advantage of a high-speed lens nowadays is the ability to use as a means of photographic expression the out-offocus bokeh created by opening the aperture.